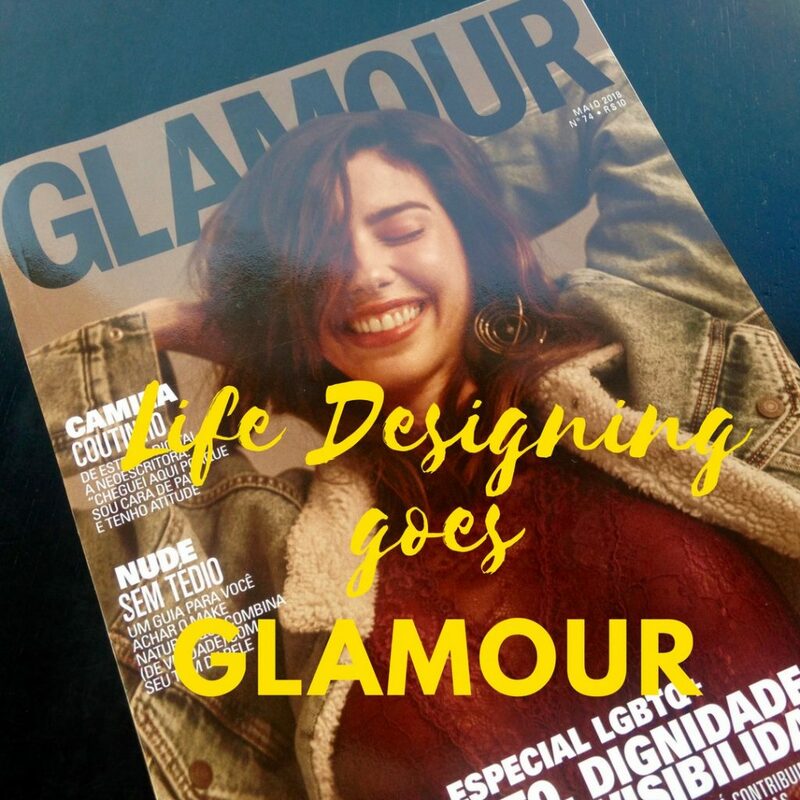 My interview with Glamour Brasil about “Life Designing” gave me the opportunity to reflect about the meaning of a life in balance and share with the readers how Life Designing can support people in creating a successful and well-balanced life. Two years after founding “The Huffington Post” in 2005, Arianna Huffington experienced a surge of stress. The diagnosis? Burnout syndrome, a physical and mental collapse caused by exhaustion. No surprise 11 years later Arianna wrote in her book, “The Sleep Revolution” about the importance of sleeping well and having leisure time to achieve the much-desired successful and well-balanced life! Sounds great to you but you have no idea how to do it? 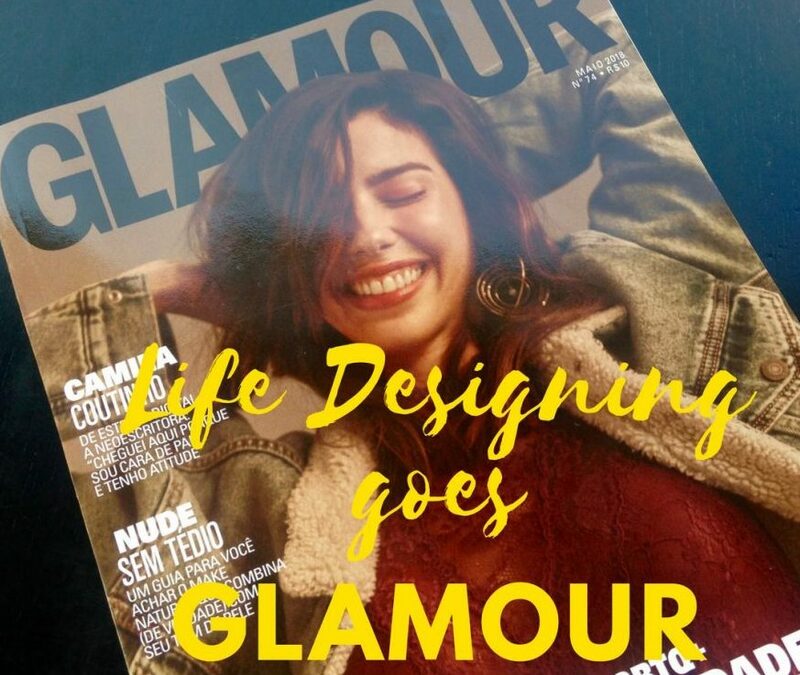 The answer is Life Designing, a methodology developed at Stanford University which has inspired already many followers – like the German Yvonne Hendrych, who’s currently living in Sao Paulo. “Life Designing was born with the intention of transferring tools, behaviours and the mindset of designers to our lives,” explains Yvonne, founder of Workinbalance, a company specializing in personal development and professional orientation. Or in other words: applying certain tools and tips to design a life that is aligned with our individual values ​​and needs. Yvonne guarantees it can be your reality! To apply the concept in your day-to-day life, the first step, according to the expert, is 1) to identify and overcome one’s own limiting beliefs, fears, and self-judgments. The second step is 2) challenge any quick-fix or narrow solution. “In Life Designing we have the principle of never coming up with one idea only or blindly following this first idea,” she says. And we need to train our minds to always approach our challenges from various perspectives (remember, it’s that story of the glass half-full or half-empty!). These 5 tips from the expert will help you to create a well-balanced life. What means “success” for your friends or family doesn’t necessarily has the same meaning to you! And that’s totally fine. The most important thing is you’re feeling happy, fulfilled and well-succeeded at the end of the day. So don’t be afraid to say “no” to certain things and learn to prioritize according to your personal success definition – this will help you to not feel overwhelmed or overworked. Identify the activities – at work or at home – that drain your energy. The best way to identify these “vampires” is by creating a journal, writing down the activities of that day and evaluate them with the “traffic-light-method”. For example: a green dot for activities that energise you; a red dot for the ones that drain your energy and an orange dot for neutral activities. After two weeks you should have a really good and realistic overview of your energy balance, allowing you to make the necessary adjustments. The idea is to minimize red dot activities and to increase the green dot ones. It’s a fact: when one area of ​​our lives, for example our work life, becomes very challenging we tend to make it our focal point. But when we zoom out and look more holistically down on our life we find other areas, equally important, that also deserve our attention. By shifting our focus to the bigger picture we alleviate the negative impact of this challenge. Perfectionism is our worst enemy, especially when we want to introduce lifestyle changes. For example, if this ambitious end-of-year resolution of going to the gym every single day of the week turns out to be too resolute for you, start with a frequency that feels good and pleasurable to you and that doesn’t interfere with your other commitments too much. No reason to feel guilty about. This half an hour for yourself at your favourite cafe! Enjoy this moment, with all your senses – that’s what it means to find happiness in the small things. And make sure you mute your cell phone and don’t count the calories of the mini brownie that was offered as a courtesy… Okay?